A female scammer using the name of President Muhammadu Buhari’s wife to scam people has been caught. The Police Command in the FCT has arrested a woman, Aisha Bello, 37, for allegedly impersonating Mrs Aisha Buahri in Abuja. The Commissioner of Police in the FCT, Mr Sadiq Bello, disclosed this while presenting the suspect before newsmen in Abuja on Monday. 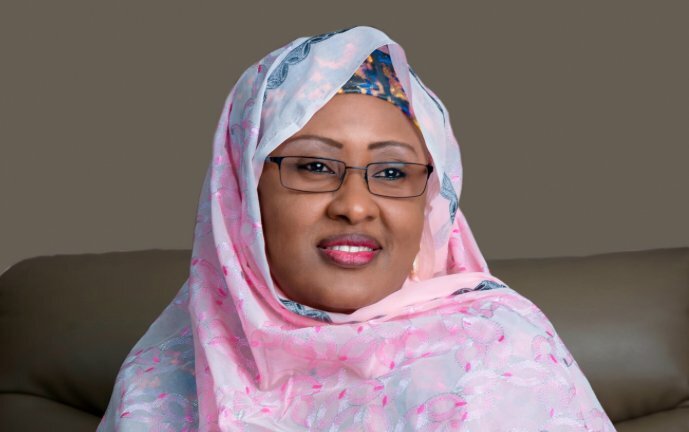 Bello said that the suspect used the name of Mrs Buhari to solicit for contracts and financial assistance from unsuspecting members of the public. “Today we have a special suspect to present to you; she is Aisha Muhammed Bello, 37 years old and a mother of four from Plateau. “The suspect was arrested by police operatives on Jan. 10 at the Fadama office in Maitama, following a report that she contacted the Coordinator of the project. “She wanted assistance in her capacity as the first lady,” he said. The commissioner said that a phone and a newly acquired Airtel SIM card registered in the name of the first lady were recovered from her. “Investigation is ongoing with a view to contacting other people she must have duped in the name of the first lady,”Bello added. The commissioner said that the suspect would be charged to court at the end of investigation. Bello advised members of the public to always be doubly sure of who they deal with before parting with their property or money. He reiterated the command’s determination to improve on its service delivery to the people while calling for the support and cooperation of the public.